Little known fact that you probably now know: the development of the Porsche 959 was a horrible mess. 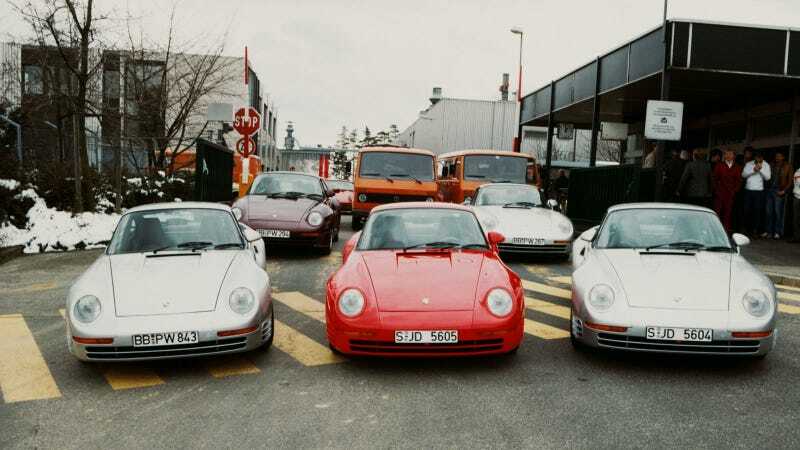 The car that was basically an über, all-wheel drive turbo 911 cost Porsche a ton of money to develop, was released two years late and tried to be everything to everyone while upholding German standards of engineering excellence. But from those labor pains, a star was born. However, if Jalopnik’s own super-sleuth was around back then, the story could have been very, very different. Congrats Eddie Brannan, you actually made Ryan Felton crack a smile (though he immediately refocused on searching for the TRUTH.) Hopefully you don’t have too many skeletons in your closet Eddie. Felton is always digging for a good story, and who knows what he’ll find next.